Birch Vale Bed and Breakfasts. Compare latest rates and Live availability for all your favourite places and places you have always wanted to go using our new My Shortlist feature. Click + to add to your Shortlist. 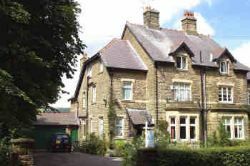 Bed and Breakfasts in Birch Vale, Derbyshire for 1 night from Sat Apr 20, 2019 to Sun Apr 21, 2019 within 10 miles, in an Average Nightly price range of £1 to £200. Just 20 minutes' outside of Manchester, Village Hotel Manchester Hyde, offers modern accommodation, on-site entertainment and free WiFi throughout. At an extra cost guests can use the facilities in Village Gym including a 25-metre heated indoor pool, gym and aerobics studio. The spa also offers a range of relaxing massages and beauty treatments. The en-suite rooms have modern decor and facilities including a flat-screen TV with satellite channels. The Village Grill offers traditional British cuisine, including a full Sunday lunch. The Village Pub serves meals and snacks and has live sports on TV and also hosts theme night events including DJs. There is also an on-site Starbucks offering a great selection of coffee, cakes and light bites. Village Hotel Manchester Hyde has free parking and is just 20 minutes' drive from The Trafford Centre, ideal for a bit of shopping. The Peak District is also just a short 20-minute journey by car. Just 1.5 miles from Stockport Railway Station, the town centre and only 15 minutes' drive from Manchester Airport, the Alma Lodge Hotel offers en suite rooms, free Wi-Fi and free on-site parking. All of the rooms have flat-screen TVs, tea/coffee making facilities, free WiFi access and a work desk and chair. A free full English breakfast is provided and a continental breakfast can be arranged to suit those with early departures. Luigi's Restaurant serves traditional Italian dishes and a traditional British Sunday lunch as well as a mid-week residents' menu. BT Sport is available in the bar area. Alma Lodge has plentiful free on-site parking and Davenport Railway Station is 650 metres away. Lyme Hall, Staircase House and the Air Raid Shelters museum are within 15 minutes' drive. The Salford enjoys a location in Stockport, just 400 metres from Stockport Local Heritage Library and 600 metres from Stockport Magistrates & County Court. Guests staying at this apartment have access to free WiFi. The apartment has 1 separate bedroom and includes a kitchen with an oven, microwave and dining area. A flat-screen TV is offered. Stockport Metropolitan Borough Council is 600 metres from the apartment, while Stockport Registery Office is 600 metres from the property. Manchester Airport is 13 km away. Set in Stockport, just 400 metres from Stockport Local Heritage Library, The Trafford provides accommodation with free WiFi. Guests staying at this apartment have access to a fully equipped kitchen. The apartment has a flat-screen TV, 1 bedroom and a living room. Stockport Magistrates & County Court is 600 metres from the apartment, while Stockport Metropolitan Borough Council is 600 metres away. The nearest airport is Manchester Airport, 13 km from the property. Offering free parking, Barton Villa is 15-minute walk from Ashton-under-Lyne Railway Station. It is just 7 miles from central Manchester. Each of the spacious bedrooms at the Barton Villa Guest House features colourful linens and ample work space. All rooms are double glazed, and offer a modern bathroom, tea and coffee facilities and a seating area. A traditional full English breakfast buffet is served daily in the bright and airy dining room, with light and continental options also available. There is also a comfortable guest lounge and a spacious conservatory, and there is a range of restaurants just steps away. Just 20 minutes' drive from Manchester Airport, the Barton Villa is a 25-minute drive from Old Trafford Football Stadium. The beautiful Peak District can be reached in just 15 minutes, and Ashton-under-Lyne Golf Club is 5 minutes' drive away. Set in Cheadle Hulme, Governors House features a bar and free WiFi. The property has a restaurant. All rooms in the hotel are fitted with a kettle. At Governors House each room is equipped with a desk and a TV. Manchester is 20 km from the accommodation. The nearest airport is Manchester Airport, 9 km from the property.